Smoked, Cured Turkey Bacon is placed in "Layout" style packaging on parchment paper, vacuum packed in 2/6 lb units for less exposure. 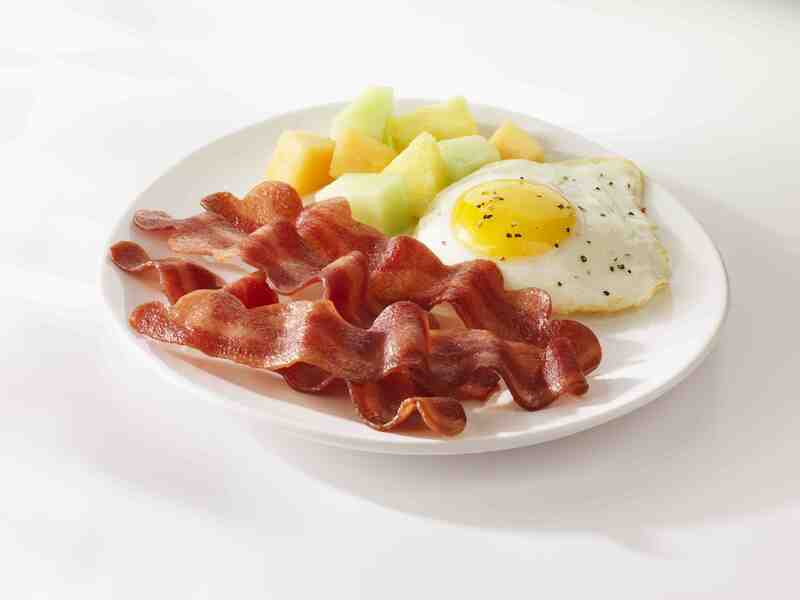 Simply cook to your desired level of "crispness" and serve as a great alternative to pork bacon. 10 slices per sheet, approximately 384 slices per case. ABOUT SAMPLING OUR Butterball Turkey Bacon 2/6# Fzn.